Over 10 million taxpayers apply for a tax extension every year. 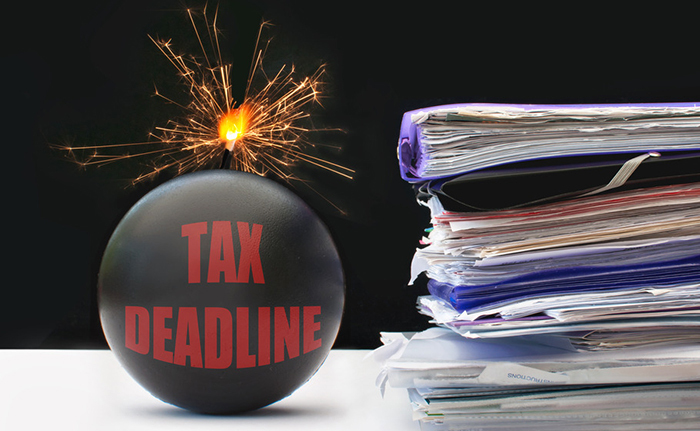 While a tax return extension for the 2016 tax filing deadline gives Form 1040 filers an additional six months to get their tax forms and filings together, they still need to complete their 2016 tax return by the extended tax deadline. S-Corporations, Estate and Trust, self-employed and small businesses, Gift Tax, Corporations, Partnerships also have their extended IRS tax form returns fast approaching. Sean K. Butler, Houston CPA would love to help you and/or your business meet the filing tax extension deadlines that are fast approaching. Individual Tax Return extension , IRS Forms 1040, 1040A, 1040EZ is Monday, October 16, 2017. This is also the final deadline for funding a SEP-IRA for the 2016 tax year; this only applies if you requested an extension to do so and you are filing your business via a schedule C through an individual income tax return. For those filing as an S-corp or other business entity, the deadline for your SEP-IRA contribution will be different. Gift Tax and Generation-Skipping Tax Return , IRS Form 709 tax extension - Monday, October 16, 2017. Corporation Income Tax Return , IRS Form 1120 - The original due date is calculated 3 1/2 months after year end with an extended due date 6 months after the original due date. There are exceptions such as when the corporation’s fiscal year ends June 30th. If that is the case, then the original due date is September 15, 2017 and this due date can then be extended six months. While filing a tax extension gives many a reprieve in due dates, there still is a tax return due date. Whether it is an original filing date or the extended tax deadline. If you are worried about any tax you owe, Sean Butler, CPA , Houston Tax Service, can help you navigate through the IRS tax regulations and red tape. Also, as long as you filed your tax extension in a timely manner, you are not subjected to a late-filing penalty even if no payment was made at the time of filing the tax extension. Sean will help you unravel complex tax issues, is among the most experienced CPAs in Houston , working with all levels of tax officials, state, federal, and local to achieve a fair tax resolution. Sean will also help you negotiate IRS tax repayment plans. Sean K. Butler, Houston CPA, is a serious tax accountant who not only will help you meet your tax filing obligations but he also cares about the success of your business and individual financial goals. Sean is well-versed in all areas of the IRS rules and regulations. He assists and navigates with his clients all facets of their tax needs. A huge plus of the Houston tax services that Sean offers is that he is also an advocate for strategic tax planning for Houston small businesses and individuals. He stays on top of the fluctuating IRS tax laws, keeps his eye on government developments in relation to business and individual tax reform issues. If you’re still struggling or are frustrated by trying to take care of this side of your business, why not give Sean Butler , Houston Certified Public Accountant a call for an appointment 713-973-5715. It may be the best investment you make.